If you like our site, please consider a donation. A wildlife advocacy group is pushing their own version of a whopper fish story by proposing new livestock fencing regulations to the County Commissioners which, they claim, will allow uninhibited wildlife movements across private land. They say shorter fences will solve wildlife vs fence conflicts. They claim fences in Jackson Hole are killing wildlife and disrupting their movements. The room was standing room only, mainly ranchers and livestock owners who were visibly upset with the fencing proposal. Several ranchers made the point that the proposed regulations of 42 inches for the maximum height of a fence would not keep some cattle in the field. They would be on the roads and highways causing traffic accidents. They said we don’t need government to dictate the height and construction of our ranch fences. The wildlife advocates then claimed these regs will never apply to agriculture. Now that’s a fish story. Maybe in the short term, but if you think it will remain that way for long then Floyd will add the ten inches back to his fish and I will relight the Coleman. Nothing is more certain than creeping government regulations. One man said he is not a rancher so wouldn’t fall under the ag exemption. He has four very expensive horses on three acres. He said if the regs are adopted and he complies with 42 inch fences, his horses will escape. The County (taxpayers) will then be liable if they are hit on the road. I testified that for more than five years I have managed a 256 acre ranch west of the airport which has about 230 head of cattle and 20 horses. Almost every night elk, sometimes hundreds of them, jump the fence into the fields to enjoy the lush green grass. I have over six miles of fence which include buck-and-rail, barbed wire, barbed wire with pole top rail, and all-pole fencing. I have never had a wild or domestic animal get hung up in a fence. I lower the top rail at places where elk frequently come and go. A cowboy common sense solution. If a fence will keep cattle in, it will hinder some wildlife movements. In contrast, if a fence allows easy access to wildlife, it will also allow some livestock to go the other direction across that fence into the road. That is common sense and no fish story can change that fact. One of the most cherished attributes of Jackson Hole is open space. Drive from Jackson to Wilson or drive Spring Gulch Road to admire the open fields on all sides. Meadows of dandelions, lush green grass even in a dry year, and cattle and horses grazing make for a most picturesque foreground for the Grand Tetons. Other areas of the valley also have green fields and open spaces, in contrast to homes and development. We can thank ranchers and hay farmers for the magnificent open space. That is the only reason for those irrigated meadows. Unfortunately, rather than appreciate them, government and environmental groups increasingly make it harder for ranching to exist and thrive. Ranching is a way of life. Usually many generations have worked that land. If the ranch makes a living, ranchers will persevere and preserve open space. Ranching, for the most part, is not a lucrative profession. It is a huge investment in time and money. In a good year the cowboy does well, but there are many lean years with the price of beef on the hoof low and expenses high. If his ranch does not survive financially the rancher will give up and sell to a Jackson Hole developer. 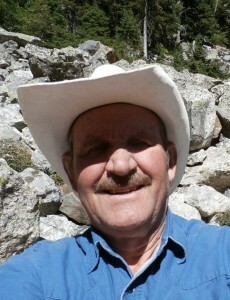 He will then set out to find a more rancher-friendly locale to do what he knows and loves. Undoubtedly he can buy a larger ranch for less money per acre in another place with milder winters to raise his cows. His Jackson Hole ranch, the open space we admire and love, will then be covered with homes. The shorter fence idea is flawed. Existing fences don’t significantly impact wildlife movement. Shorter fences won’t keep livestock safely contained. The more difficult you make it for ranchers to maintain their way of life the more likely those thousands of acres will be turned into subdivisions. Please help with a donation.